Mercedes-Benz Vito is a popular model in the world of commercial vehicles. Now the company is expanding the lineup thus improving its market share with two new models Shuttle and Vito Crew. To explain them in brief, the Shuttle is comfortable, spacious, professional while the Vito Crew is more economical, practical and versatile. These models excel with their new design, economy and customer- oriented practicality. There is a choice of two 4-cylinder CDI diesel engines developing 70 kW (95 hp) and 100 kW (136 hp). The Vito Shuttle is also available in a 120 kW (163 hp) variant. The car’s are also packed with safety features some usually seen in this segment, including electronic stability programme ADAPTIVE ESP with all functions from anti-lock braking (ABS) and acceleration skid control (ASR) to trailer stabilisation in conjunction with a trailer coupling. The Mercedes-Benz Vito Shuttle is available in three lengths – “compact”, “long” and “extra-long”. Prices start at EUR 30,180, while the Vito Crew is available in two lengths – “compact” and “long” starting at EUR 21,290. If you have ever driven through the deepest parts of southern USA then you no doubt have seen at least a few dozen redneck trucks. Often the subject of comedy, redneck trucks are always good for a quick laugh. For those who do not agree, look at how much money the monster truck rallies make every month. 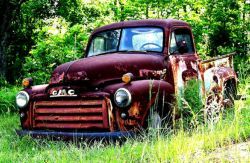 For those who may not have had much exposure to the country environment, you may be wondering what exactly redneck trucks are and if you have seen one before. Well, here are a few traits that most have in common. For starters, standard redneck trucks are usually easily identifiable by their large tires that stick out under the wheel wells much like a lift truck. There is no real rhyme or reason for this as people who own these usually do not have a need for the all terrain abilities the lifted tires give, they just like the look. This is why they are the number one trait that seems to mark all redneck trucks. It may be because rednecks love monster truck rallies and the lifted tires on redneck trucks make them feel like the road is a monster truck rally. Second, redneck trucks are usually in bad need of either a paint job or a car wash. In addition, it’s unexplainable but true that people who own redneck trucks seem to be unbothered by the actual physical appearance of their vehicles. It is not uncommon to see redneck trucks that are painted two or three different colors and still have flecks of paint missing. Of course, sometimes the flecks of missing paint on redneck trucks actually are caked with mud that has been there for the last ten years. A good sign that you are about to run into a bunch of redneck trucks is if you are in a town with a car wash that looks like it has not been used for years. Another good sign that you are passing by a redneck truck is what you can see in the truck bed. Redneck trucks are usually filled with tons of trash and furniture that may make them look like your front yard during spring cleanup. For people who own redneck trucks, it appears spring clean up lasts all year, but instead of a garbage truck taking away their old stuff, they just continue to haul it around in the back of their redneck trucks. By now if you have not run across any redneck trucks you probably hope you will someday. Redneck trucks are entertaining to spot and there are road games you can play while looking for them. Now that you know all the tips for spotting redneck trucks, you should be able to succeed at this game quite well. For those in need of a good redneck truck fix, simply head down I-75 South and you will no doubt see more then you can count within a few hours! If you always wanted to own a Jeep, but never had the budget to afford one that is new, your next best option is to purchase a used Jeep. Used Jeeps, unlike many other types of vehicles have a remarkable resale value and are generally a good investment. Here are a few tips on buying a used Jeep. Unfortunately, for those with very small budgets, a used Jeep won’t save you 50% to 80% off the original cost of the vehicle. 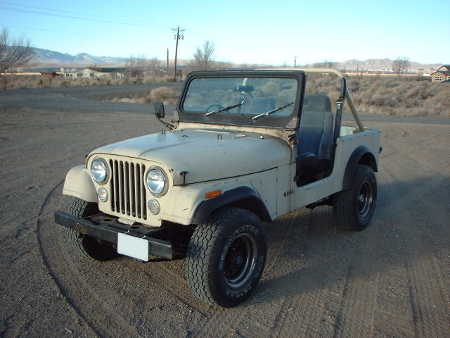 In a way, Jeeps are like Honda, they retain much of their value over a long period of time. The reason being is that Jeep is a well made vehicle and many that are well maintained can easily last for decades. This is why you see many Jeeps from brand new to over 20 years old still on the road or off road today. As always, when buying a used Jeep, make sure to do your research. If you have a buddy that is selling his or her Jeep, you may not only save some money- but usually you will get a detailed and honest description of what is wrong with the vehicle. Buying a used Jeep from a used car lot comes with the same concerns as being a used vehicle- maybe even more since Jeeps are a tad more expensive and can either been used as a strictly street vehicle or used for off roading purposes. As with any vehicle purchase, check it out by a mechanic that you trust. In this case, a regular mechanic will usually do, however if you can find one that is a 4×4 enthusiast- even better since the mechanic will usually know what to look for. If you own a business and require a vehicle to tow or haul items to perform services or plain operate your company, there are a few things to consider. Trucks, SUV’s and even Jeeps can be great tools to help you run and even grow your business. Whether you are a construction contractor, run a lawn service company, catering or just a plain wholesaler, you can benefit from owning a 4×4 for your business. Many owners make the mistake of choosing the 4×4 that is their dream truck or SUV, but might not be right for your company. Keep in mind that the vehicle must be able to help you conduct business easier- so while you might want flashy, sometimes it’s better to go for reliability and functionality. As a business owner, you can receive tax deductions for using a vehicle. This can include deducting the cost of operating your vehicle and maintaining it. While you can easily view the implications on the IRS website, it is always good to talk with an accountant to see where owning a 4×4 for your business fits into your overall portfolio. It should also be noted that there are benefits, as well as disadvantages on buying or leasing, due to tax laws, so this is another area where you should research. Besides tax implications, your business vehicle is usually much more different than a passenger car or truck. If you are using your 4×4 for a business, insurance is usually affected, as well as registering your vehicle at your local Division of Motor Vehicles Bureau. For larger vehicles, your state or municipality may even require a special driver’s license, so do plenty of research before you buy.